We’ve seen G-Form pull off some crazy stunts to prove how well their cases protect tablets and smartphones. The last time we talked about G-Form was when an iPad drop from 100,000 feet in the air, and survived thanks to the case. This time around G-Form showing off the new iPhone case called the X Protect. Once the iPhone was placed inside the case, the gang at G-Force took the smartphone to the hockey rink and used it as a puck. 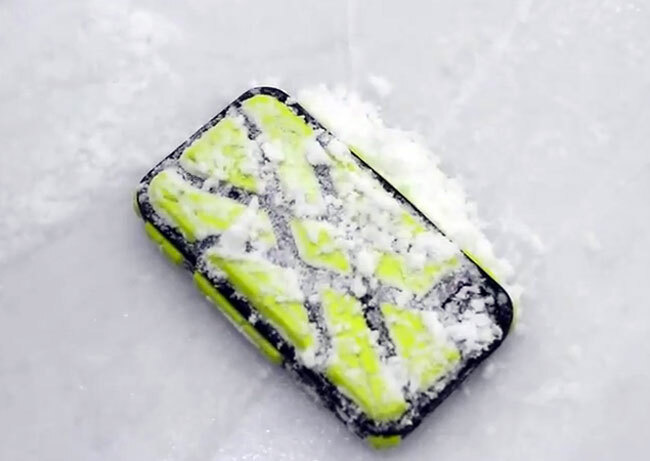 According to G-Form, the smart phone survived the 82 mph slapshot thanks to the new case. The case is available now in two designs, both in black and yellow colors. Either of the two styles will cost you $39.95 and will ship this month. Check out the video to see the test in action.